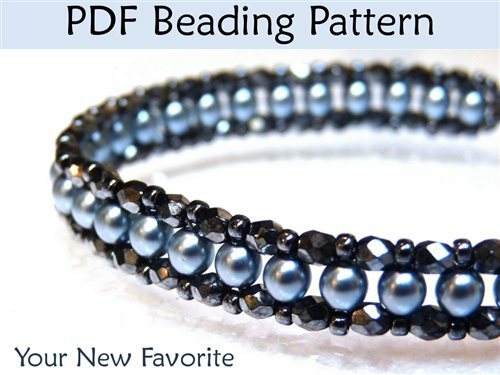 This great step by step beading pattern will teach you how to make a beautiful beaded bracelet or choker necklace! With over 40 high resolution full color photos and easy to follow step by step instructions, I am sure it will become your new favorite! Perfect for beaders of any skill level! Have fun! 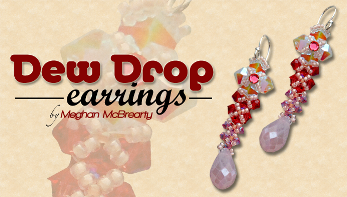 These earrings are delicate and “dewy” with tapered angles and embellished dangles to create the drop. There are layers of beads and crystals in this right angle weave pattern with an “x” movement across the top with size 15 Japanese seed beads in complimentary or contrasting colors. Once you master the basic technique, you’ll be off running in a hundred different directions. I hope that the following insight about right angle weave is helpful for you. Happy beading! If you’re just started out with right angle weave, check out this free tutorial. If you need … You can use one or two needles to work right angle weave patterns. … Seed beads do make up the majority of the bead mix for many right angle pieces, but there is no reason to feel limited to this. 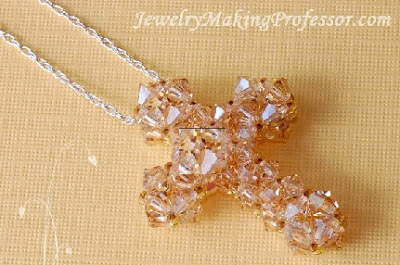 Using the right angle weaving technique you’ll be able to make a simple but sparkling cross pendant.The cross is compose of 2 flat crosses from 5mm and 4mm bicones. These 2 flat right angle weaved crosses are then connected at the sides by 11/0 seed beads. I was fiddling around with cubic right angle weave and I came up with this fan shape that reminds me of ginkgo leaves. So that’s what I’m calling these: Ginkgo Leaf Earrings. This week Kelly from Off the Beaded Path in Forest City, North Carolina teaches you how to do a single needle Right Angle weave bracelet. Check back each week for a new video. Beaders of a kind flock together.